Danbury, Connecticut (January 26, 2016) - Addivant™ announced a multi-million dollar expansion program at the company’s Morgantown, WV manufacturing facility to meet increasing demands for WESTON® 705. WESTON® 705 is a nonylphenol-free antioxidant developed for use in polyethylene manufacturing that has received extensive regulatory approvals for use in food packaging applications. This expansion will more than triple Addivant’s capacity for production of the liquid phosphite antioxidant, enabling manufacturers of polyethylene films and rigid formats to meet food packaging needs without using nonylphenol chemistry. Phosphite antioxidants are necessary ingredients in packaging films and, while used in extremely low concentrations, need to be thoroughly tested because films come in direct contact with food products. WESTON® 705 was specifically designed as a solution to reduce the need to use nonyphenol-based AO in food packaging while also complying with the strict, and often complex, global regulatory requirements without compromising on packaging film clarity, color or processing performance. 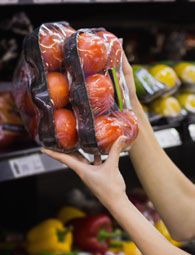 Interest in polyethylene film with WESTON® 705-inside™ has grown significantly as consumers demand greater transparency into understanding more about the chemical composition of the packaging that touches their foods – particularly organic and natural food products. Addivant’s WESTON® 705 antioxidant meets that demand. Addivant™ is an innovator in the field of polymer additives, developing customized solutions that provide customers enhanced application performance, safe handling, and reduction in cost of use. The company is recognized industry-wide for its extensive portfolio of specialty additives including antioxidants, light stabilizers, rubber additives, polymer modifiers, metal deactivators, polymerization inhibitors and intermediates. Addivant is an international company, with 11 plants on five continents, as well as research, manufacturing and sales facilities around the globe. Addivant maintains its global headquarters in Connecticut, USA with regional headquarters in: Al Jubail, Saudi Arabia, Basel, Switzerland, and Shanghai, China. Addivant is an independent portfolio company of SK Capital. Visit www.addivant.com for more information. SK Capital is a private investment firm focused on the specialty materials, chemicals and healthcare sectors. The firm has deep experience in and knowledge of Addivant’s products and end markets gained through previous and current portfolio companies in the polymers, plastics and associated additives sectors. Located in New York, NY and Boca Raton, Fla., the firm is currently investing from SK Capital Partners III, L.P., a $1.5 billion fund of committed capital. Its portfolio companies generate revenues of approximately $8 billion annually and employ more than 9,000 people. Visit www.skcapitalpartners.com for more information. Addivant™, WESTON®, ANOX®, POLYBOND®, LOWINOX®, ULTRANOX®, GENOX®, NAUGARD® and FLEXAMINE® are trademarks of Addivant.